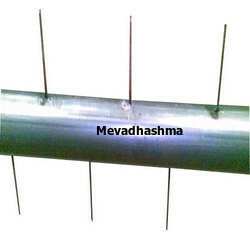 Mevadhashma Manufacturer & Exporter for ESP Discharge Electrode (Electrostatic Precipitator Discharge electrode). We Bring Forth an Innovative Variety of Emitting Electrodes That Are Developed by Experts Using the Latest Technological Advancements. Manufactured by Experts from Top Grade Factor Inputs, These Are Highly Durable in Nature. Wide Range of Coil Type Emitting Electrodes Are Manufactured to OEM Specifications Using Ss316l and SS 904l Wires. Other Varieties of Electrodes Are Also Produced Including Pin and Barb Type Electrodes. Lead Time : Emitting Electrode Lead Time with 7 Days Upto 10000 Nos to 50000 Nos. We Bring Forth an Innovative Variety of Spiral type Emitting Electrodes that are developed by Experts Using the Latest Technological Advancements. Manufactured by Experts from Top Grade Factor Inputs, These Are Highly Durable in Nature. OEM: BHEL ESP, Thermax ESP, Alsom ESP, ACC ESP, VT Corp ESP, Unicon Esp, Flsmidth Esp, etc. Emitting Electrode Lead Time with 7 Days Upto 10000 Nos to 50000 Nos. We have introduced a comprehensive range of Electrostatic Precipitator Emitting Electrodes (ESP Emitting Electrodes)in our catalog to meet varied demands of the clients. These products are manufactured under the guidance of our adept professionals, ensuring their compliance with the international industry standards. Moreover, after manufacturing, a team of sedulous quality controllers checks these electrodes on strict parameters to ensure that finished product possesses longer functional life. 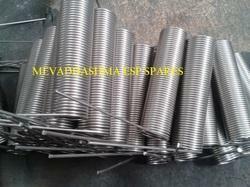 We manufacture and supply Emitting Electrode which is one of the important spares for Electrostatic Precipitator (ESP). These Emitting Electrodes are quality tested at every stage to ensure that these electrodes conform to the Industry Standards. We supply our Emitting Electrodes which are used extensively in many Industries for all makes of Electrostatic Precipitators like Spring Type, Pipe & Spike Type, and Spike Type. Our Emitting Electrodes have high efficiency and offer high performance. The Emitting Electrodes we offer are reliable and durable. We are instrumental in offering wide gamut of Emitting Electrodes and Discharge Electrodes. 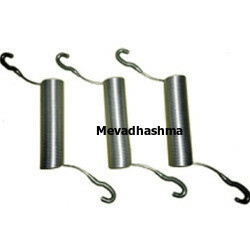 Provided electrode is offered in different specifications as per the requirements of clientele. This electrode is developed with the help of competent workforce using high quality raw material and leading technology. Offered electrode is high on demand among our patrons due to its indispensable features. For Discharge Electrodes of Alstom style ESP’s, the shrouded hook ends of Electrodes are manufactured with the Electrode wire inserted through the shroud prior to forming the hook, thus eliminating the requirement for crimping. We manufacture different designs of Discharge Electrodes to OEM standards. Emitting electrode with 904L, 316L and custom made and esp spares collecting electrode. Owing to our extensive years of industry experience and profound market understanding, we are providing Precipitator Discharge Electrode System. This electrode is manufactured using top quality raw material and latest technology keeping in mind the set norms of industry. The offered electrode makes sure to perform for a longer time span without causing any hassle. 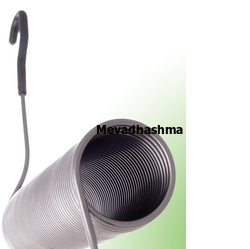 We are giving this electrode to our customers in varied specifications at market leading rates. We bring forth an innovative variety of Emitting Electrodes that are developed by experts using the latest technological advancements. Manufactured by experts from top grade factor inputs, these are highly durable in nature. Owing to their superb finishing, these are highly resistant to corrosion and abrasion. 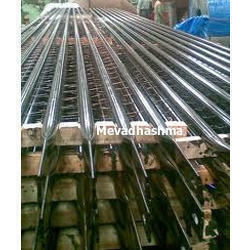 Clients avail these Electrodes at highly affordable rates in the industry. We are an unparalleled name in offering a premium quality ESP Emitting Electrodes. Our given range of ESP emitting electrode is manufactured in adherence with predefined guidelines & advance technology. We offered this ESP emitting electrode in different specifications to our customers. This ESP emitting electrode is valued in the industry owing to its robust construction, wear & tears resistance.